On April 9, New York City Mayor Bill de Blasio declared a public health emergency after a measles outbreak hit the region, infecting 285 people, of which 21 were hospitalized. This outbreak, and others like it, comes after the disease had been declared eradicated by the Pan American Health Organization in 2016, and is the latest outbreak in a series of cases that have popped up across the country. The situation mirrors an outbreak Washington state in January 2019, when Democratic Governor Jay Inslee was forced to declare a state of emergency after 55 cases of measles were reported. Most of the infected were children under ten. That such diseases still appear throughout the United States is an absolute shame, and their outbreak continues to put vulnerable people at unnecessary risk. Throughout the U.S., 17 states allow for philosophical or personal belief exemptions to vaccinations, and in recent years, more and more parents have stopped vaccinating their children, out of fear of perceived negative effects of vaccines — including now-debunked claims that some may cause autism. Countless studies and extensive research have disproven such claims, and shown that not immunizing children ends up putting those with medical exemptions to vaccines at risk. The more people you vaccinate, the less chance you have of a disease breaking out in that population. This concept is referred to as herd immunity and protects those who cannot get vaccinated for medical reasons as they are less likely to come in contact with the disease. To achieve herd immunity for measles, for example, 95 percent of the surrounding population must be vaccinated. But now, with the growth of the anti-vaxxer movement, the number of immunized people is shrinking, putting the whole population at risk of contracting diseases that continue to kill thousands of people yearly. Reasons for forgoing vaccinations vary from religious beliefs to personal freedoms to valid medical reasons for why a child cannot be immunized. Three states — California, Mississippi and West Virginia — currently only allow medical exemptions to vaccines. In states that only allow medical exemptions, like California, strict laws have proven to work, reducing measles cases from 125 in 2015 to 24 in 2016 after the introduction of new laws. That is good news for all people who attend school, go to work, or otherwise frequent public places. When vaccination is taken as a matter of public health, and not a matter of freedom of thought or religion, everyone is better off. This extends into our daily lives as students here at Northwestern University. Although Illinois state law requires full and half-time students to submit their immunization records, the same is not true of part-time students, who qualify for their status by only taking one class. This would not be a problem if those students did not step foot on campus. But they do. 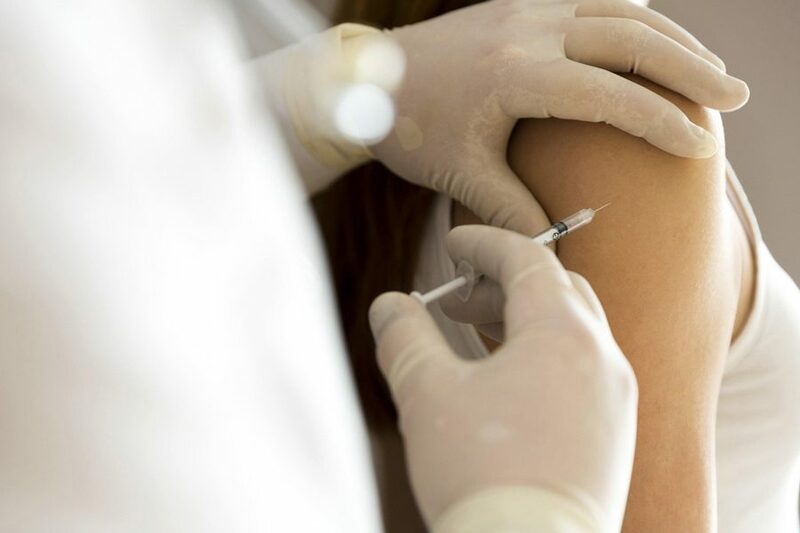 On top of that, Northwestern University also grants medical or religious exemptions based on that same law, which can further endanger unvaccinated students with medical conditions. Northwestern University abides by Illinois state law in requiring those who are full-time students to provide their immunization records, but it is at the institution’s discretion to grant the exceptions. The school is therefore complicit in putting students — who are medically exempt from receiving vaccinations — in danger if they happen to interact with unvaccinated students who do not have a reason to be unvaccinated. This is not an issue easily fixable at the state level, because Northwestern is a private university. The change must come from the administration, who must take action to protect its medically exempt student body. Allowing unvaccinated students to attend on-campus classes represents a threat to the student population that could be easily prevented. Besides improving health standards at Northwestern, we can do more at every level. The government needs to address this issue like it is: a public health emergency. The states need to do the same, and it should be schools’ responsibility to set an example to prevent the future spreading of preventable diseases. If you do not vaccinate your child based on unsupported claims or other non-medical reasons, you represent a menace to the American population — everyone that allows this to happen is complicit. Parents will still continue to fail to vaccinate their children without concrete laws in place, giving lawmakers and administrators the responsibility to protect those who are at risk as a result of this failure.